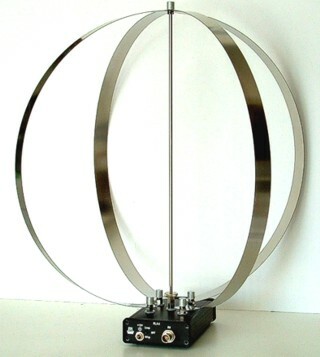 The RLA4 is a broadband, non-tuned receiving antenna for the LW to SW range based on the magnet loop principle. It possesses 2 loops that are arranged at an 90° angle to each other with switching / rotating option of the receiving direction. The antenna loops of the RLA4 are made of specific multilayered circuit board material with protective coating. The utilization of the parallel connected copper surfaces of the material results in a very low inductance. In conjunction with the highly sensitive and low-resistance amplifier inputs, a high cutoff frequency is achieved. The antenna loops are relatively small but achieve good receiving levels in conjunction with the low-noise amplifiers. Thus, the small and light antenna can be used flexibly. The low-resistance magnet loop principle and the direct and centered grounding of the loops (completely symmetrical structure of mechanics and electronics) result in a very low noise sensitivity. Switching the loops and thus the receiving direction is done in 90° steps directly at the antenna. 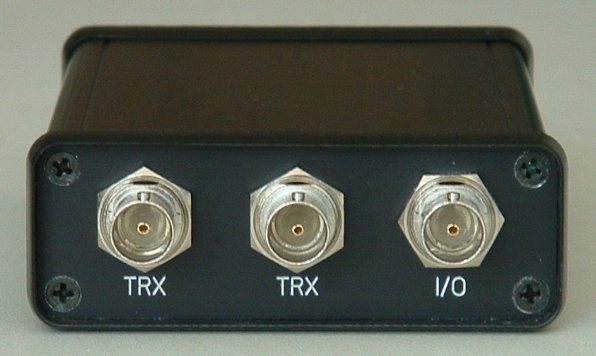 A control unit for the antenna is available which enables remote supply through the HF cable and the switching in 45° steps (both loops simultaneously active). The RLA4 features fine tuning of the direction even between the 45° angles. 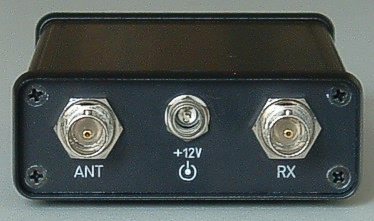 This enables using the notch to achieve a high degree of suppression of unwanted signals. Variant 4B/E further enhances broadband noise suppression by using multilayer loops with grounded copper layers at the outer layers. For the setup of own designs, the amplifier board of the RLA4 is also separately available, currently in version RLA4G with very low-noise and IM resistant electronics. 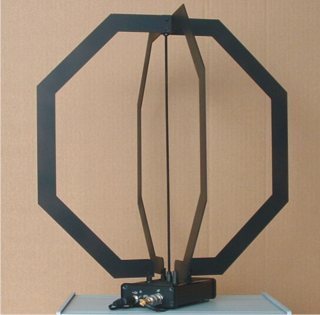 The RLA4 antenna is available with 14.17 in (36 cm) loops mostly from stock. Different versions of the loops are available: Shielded and unshielded version, as well as stainless steel strip. Wall plug transformer 12 V- / 200 mA with 2.1 or 2.5 mm female plug, linearly regulated, individual DC or HF cables aren't included in the delivery.